We're more than half way through July and it's never too early to start those Christmas cards. 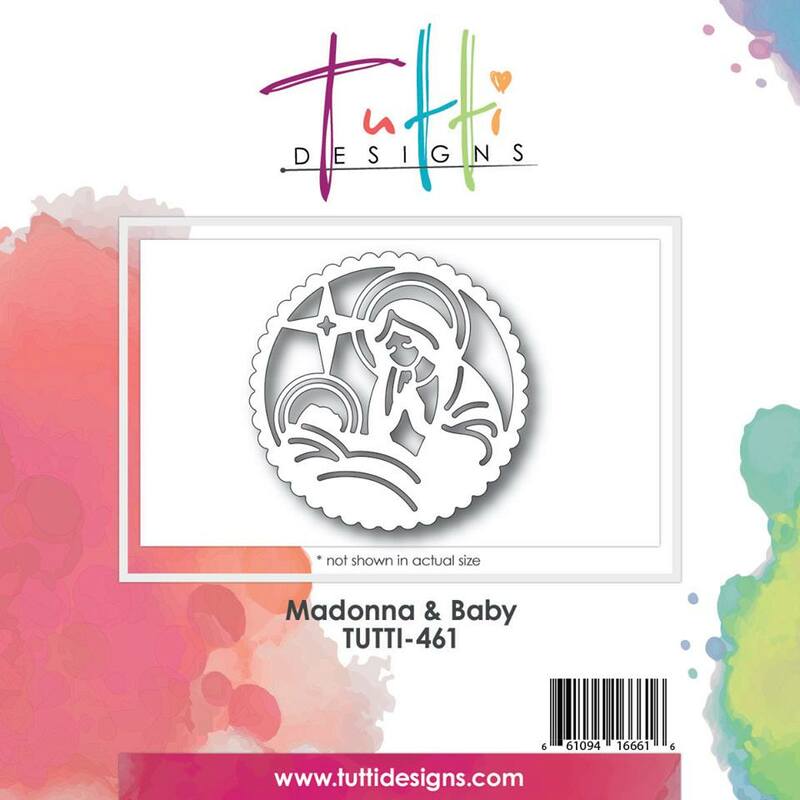 Tutti Designs newest die release is spectacular and will have you thinking "holidays" no matter what the temperature is outside. 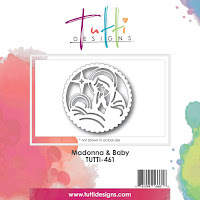 The July release of 33 dies, yes, I said 33, is amazing with images for fall, Halloween and Christmas! 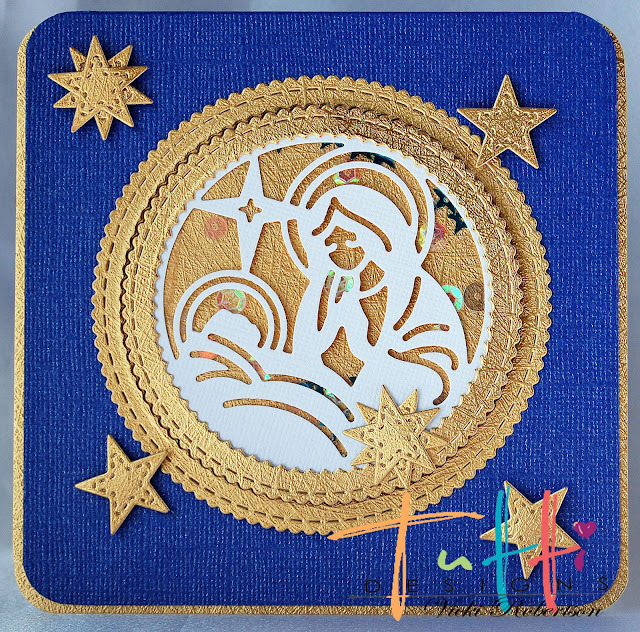 Vicki here, and today I'm sharing a Christmas card created using Tutti Designs Madonna & Baby, Nesting Stitched Star and Scalloped Stitched Nesting Circles. 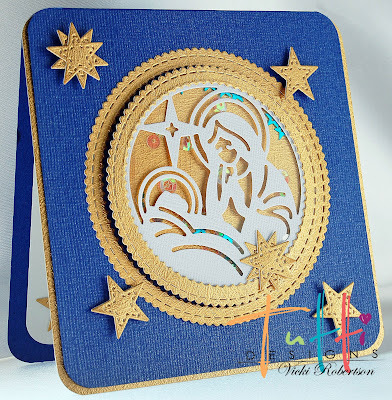 The card base is 5" x 10" Bazzill Bling Prussian Blue cardstock scored and folded to make a 5" x 5" size card. 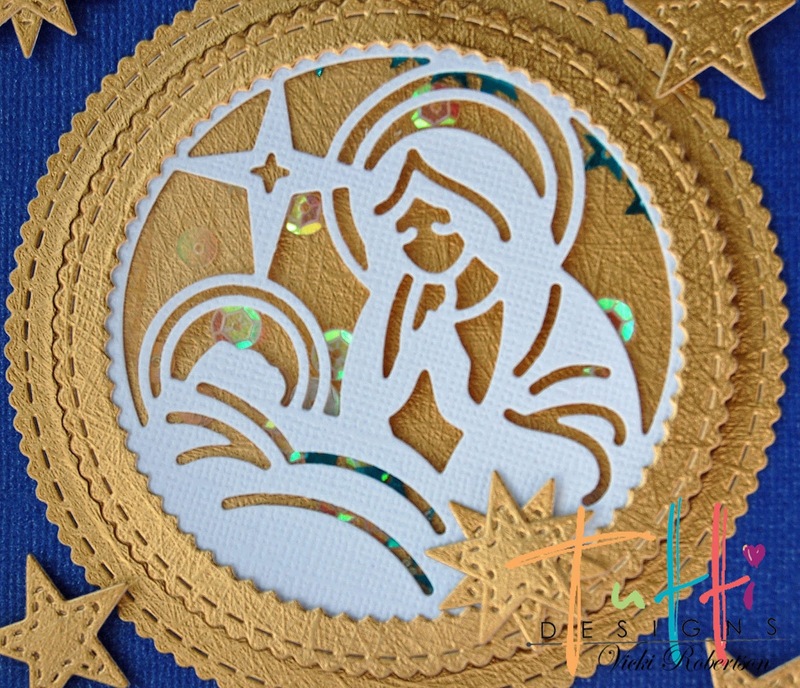 The Madonna & Baby are cut from white cardstock and the gold foil is the under layer of the card front and the matting and base for the Madonna image and stars. 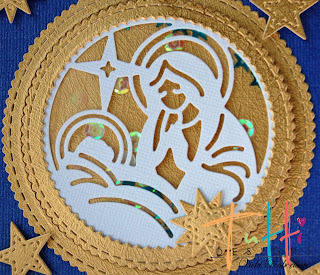 I created a shaker window with the Madonna & Baby die, transparency, sequins and Nesting Stitched Circles. 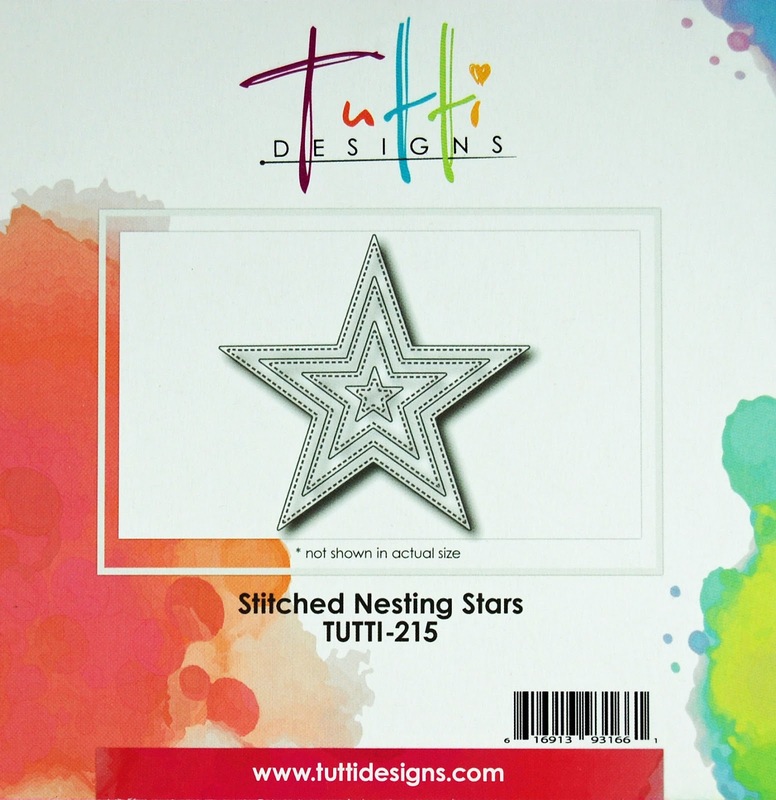 Die cut stars, some of them double stacked, are the embellishments. In this side view, you can see the added dimension to the circle frame and stars. Thanks for stopping by to share my newest inspiration for Tutti Designs! Just gorgeous Vic! 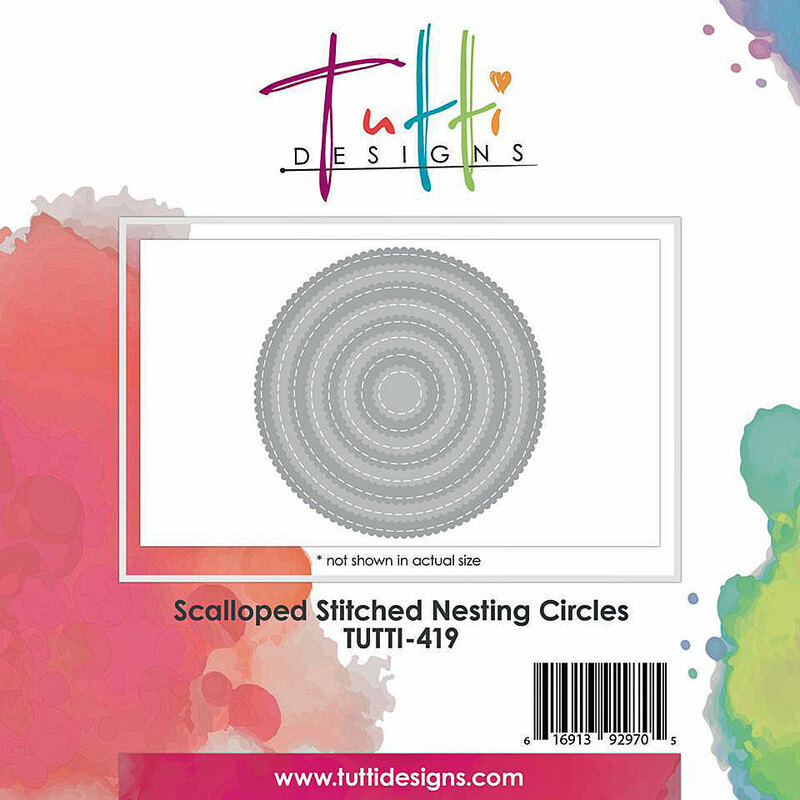 What a fabulous design! Thanks so much for holiday inspiration! Stunning work Vicki, showcased beautifully! !